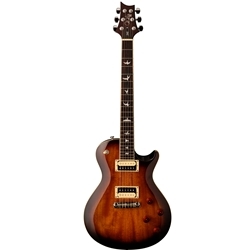 Perfect as a first guitar or the last guitar you’ll ever need, the PRS SE 245 Standard has a classic voice that is eminently recordable and gig-ready, thanks to its 245 "S" pickups and versatile control layout. Classic PRS appointments include a set Wide Fat mahogany neck, rosewood fretboard with bird inlays, PRS-Designed stoptail bridge and tuners. The 24.5" scale length makes this instrument instantly comfortable to players who prefer short-scale guitars. The all-mahogany body is reminiscent of Paul's first pre-factory instruments and offers a warm, woody tone. “With so many aspiring players struggling to stick with guitar past the first year, we knew we wanted to deliver an affordable quality guitar that players didn’t have to fight. We want the guitar to inspire you to play; it can’t be something you have to worry about staying in tune or simply working right.